Okie,My friends have been forcing me to write down about myself a long time.Here I go. 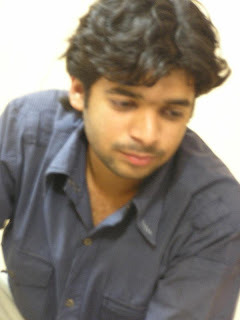 I am Abhishek Singh Mandloi, pursuing my Bachelor of Engineering from Indore(Heart of India). I got recruited in Infosys in my 3rd year.It was 21st March- one of my most memorable experiences for life.I don’t know how I did it but I believe that day was for me. Its been 6 years,since I am in Indore,quite an interesting place though, but lesser in terms of exposer related to latest technologies and trends.This factor drove me towards blogging. Basically, part-time blogger at http://www.coolaery.co.nr/ and as an interest I have also started http://www.songscrap.blogspot.com/ . I did my 11th and 12th from Indore itself from Laurels International,my pre-schooling belongs to suburb in Khandwa. 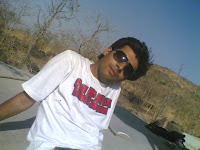 My father is a Engineer in NVDA (Narmada Valley Department Authority). Apart from my own craving and inquisitiveness, my father has been a true inspiration in finding a niche for me,in this wide and endless stream of knowledge. My mother is principal of NGO school, my real source for zeal and enthu. my etiquette’s my helpful nature, all inherited protected class. I don’t feel to write more coz I am writing what I know for years.Whatever comes new in my life, I would certainly put up here or else ask me at coolaery [at] gmail [dot] com. You can also catch me at ORKUT or Facebook. Someone has copied your content and taking credit for your work. He has been rated a quality author based on your work? I have checked only one of his knol which is copied from your list, you can check the rest. If you find similar content, you can complain to Knol help to get his account blocked. I encourage you to post your own articles there and let not free riders copy your work. does copyright work in India? You can post a comment on his stolen articles as well.